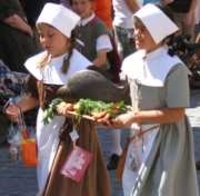 ANSBACH, Germany (July 13, 2018) – “Was ist los in Franken?” details off-post community events and activities occurring throughout the Franconian region. 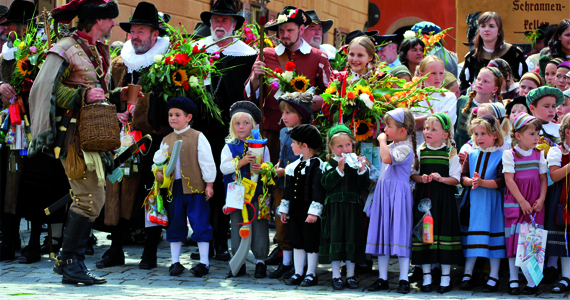 Ansbach-Eyb is celebrating the annual traditional Kirchweih fest Aug. 2 through 6. The Kirchweih tree will be raised on Saturday, starting at 1 p.m. Another fest highlight is the parade Sunday at 2 p.m. with many local clubs and music groups; the parade starts in Industriestrasse, moving to Eyber Strasse and finally to the Dorfplatz. Fresh, traditional Kirchweihküchle, donut-type baked goodies, will be sold Saturday and Sunday morning. A hiking day with 5 or 10 km distance is scheduled for Sunday, July 22, in Sinsheim-Reihen. Start point is the Reservistenheim (Blumenstr. 24, 74889 Sinsheim-Reihen) from 6 a.m. to 2 p.m.